Round 3 action in the Lipa Football League. Group A Leader La Salle FC completes its set of fixtures for the group stage of Season 2 of the LFL with a top of the table clash against erstwhile leaders Mentors FC in the 4th round of matches scheduled on 16 December 2018 at the Aboitiz Pitch of The Outlets of Lipa. A win will confirm the club’s status as top seed of Group A for the semi-final round to be played on the last Sunday of February 2019. 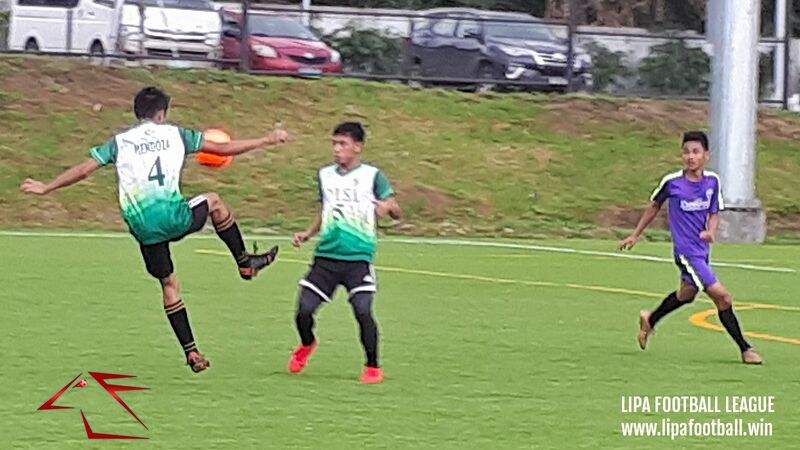 The youngsters from La Salle can still top group A even if it loses, but will have to count on Legends FC defeating the Mentors in the final round of group matches to be played on 27 January 2019. In the other Group A match, Legends FC tries to return to winning ways when it clashes with winless Coffee Millers FC later in the afternoon. The permutations in this group are somewhat complicated. Although La Salle FC is well-positioned to qualify for the semi-finals, the a big Legends win over the Coffee Millers and a victory over Mentors FC in January can still send the youngsters of La Salle packing, assuming the Mentors can defeat La Salle. Qualification for the semis or failure to do so can boil down to a matter of goal difference. Meanwhile, Green Stallions FC, the league’s runaway goalscorers with 21 goals from just two matches, attempts to solidify its hold on the leadership of Group B in a clash with second-placed Real Barako FC. Real Barako leads third-placed ACF Real Molinillo de Lipa on goal difference after a masterful 9-2 victory over Kings FC in Round 3. A victory keeps the Green Stallions at the top of the Group B table. Even a draw will suffice, but they need to rely on Kings FC not losing by a landslide of goals later in the afternoon to Real Molinillo. A Real Baraco win sees them leapfrog the Green Stallions to the top, again assuming Real Molinillo does not rout Kings FC with a volleyball score.